Further information about charges and timings can be found by downloading the Combined Visits chart here. 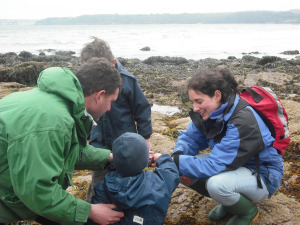 Geopark Education Officer (Based at the Seashore Centre). Visits run by Geopark Education Officer offer children the opportunity to explore their environment by engaging in a variety of fun and inspiring activities. Groups can expect to take part in a Time Travelling game, follow a Geopark Trail and hunt on the beach for fossils. Older children can investigate the Geopark in more detail by participating in visits focused on Rocks & Soils or Coastal Geography. Kents Cavern is the most important Stone Age dwelling in Britain and this makes it a unique natural resource. 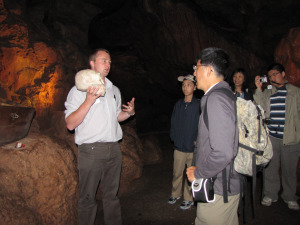 Here people of all ages can learn about the history and geography of these famous Devon caves. Our programme of educational visits is designed to deliver learning and enjoyment across a range of curriculum subjects all withing the safe underground environment of the oldest home in Britain. Our staff are trained and experienced in running a wide range of activities which can be tailored to your requirements and linked to your curriculum or interests. We offer sate access to a variety of specialist, high quality habitats such as streams, ponds, woodland, farmland, coast and rocky shore and we provide all the equipment and materials that your students will need for their visit. Children can get hands-on with some of the Museum's half a million amazing objects, from a 250,000 year old Devon made hand axe made by our ancient ancestors to a Blue Whale's ear bone. 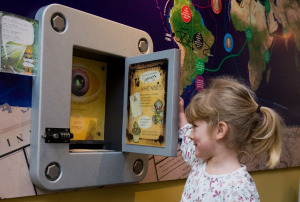 Visits can be tailored to individual schools, using the Museum's collections to explore the prehistory and geology of Torbay, the world of Torquay's Agatha Christie, Victorian Torbay and life and death in Ancient Egypt. 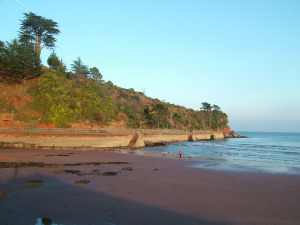 Travel along the beautiful coastline of Torbay on board a majestic steam train and view the Geopark from a new perspective. 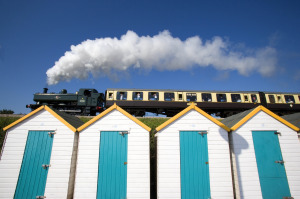 Take a return journey from Paignton to Kingswear where children will learn about the history of the Dart Railway and discover how its development led to the growth of our popular seaside resorts. 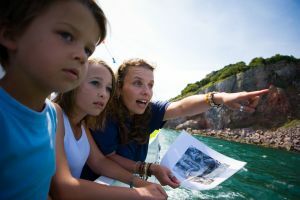 Climb aboard a Geopark cruise where children can take part in an exciting adventure at sea! Listen to stories about the coastline and look out for some of the Bay's amazing wildlife. Advernturers will be provided with activity packs full of puzzles and facts to entertain them on their journey.